Tonight, Disney debuted a brand new "castle lighting" show at the Magic Kingdom. It features Anna, Elsa, Kristoff, and Olaf, and it is called "A Frozen Holiday Wish." 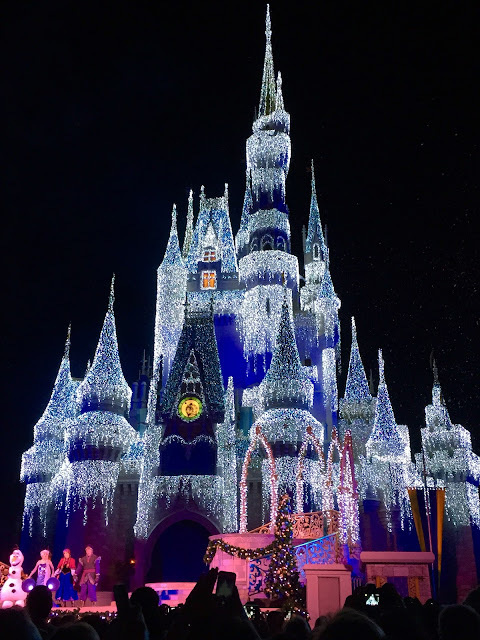 For many years, the Fairy Godmother had the honor of lighting Cinderella Castle during the holiday season. When they announced the major change for this year, many of us in the Disney fan community were skeptical. However, Disney did a great job with the show, and it seemed very well received on opening night.